Explore the numerous day-trip ideas around Perth: Fremantle (Fremantle Prison & Fremantle Markets) and Dolphin & Whale Watching (in Mandurah). Dedicate the 1st (Wed) to wine at some of the top wineries in the area. Pack the 2nd (Thu) with family-friendly diversions at Adventure World Perth Australia. 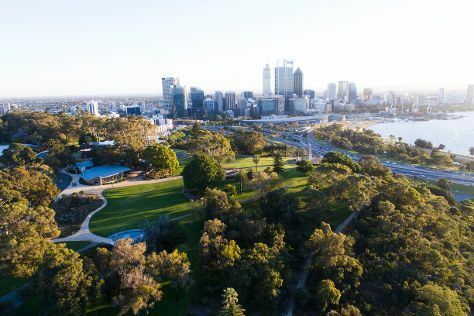 There's lots more to do: admire the natural beauty at Kings Park & Botanic Garden, appreciate the history behind Kings Park War Memorial, get to know the resident critters at Perth Zoo, and contemplate the long history of The Perth Mint. To see photos, reviews, traveler tips, and more tourist information, refer to the Perth trip itinerary website . In December, plan for daily highs up to 35°C, and evening lows to 17°C. Wrap up your sightseeing on the 3rd (Fri) early enough to travel back home.